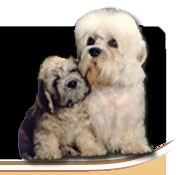 The Dandie Dinmont Terrier Club of Canada is celebrating its 22nd biennial Specialty Show, a dog show for Dandie Dinmonts only, on September 10th. It will be held at PawsWay, 245 Queens Quay West, Toronto Ontario, M5J 2K9. We welcome one and all to this extraordinary event, complete with a Highland Piper, Highland Dancers and our famous “Dandie cuddling parlour”. Come and cuddle a Dandie Dinmont. To raise awareness of our endangered breed we will be holding a Student Art Competition. For more information, please review the attached Student Art Competition Rules.